The Cluster for Sustainable Cities is committed to excellence in urban design thinking and communication, creating inventive solutions to address the global challenges of urbanism in the 21st century. It seeks to stimulate and deliver the research expertise necessary to develop the new knowledge required in the practice of sustainable urban development for the necessary transformation and regeneration process. The applied research is concerned with the development of new strategies towards the integration of sustainable technologies into a societal, urban and behavioural context, and the innovative re-thinking of urban futures – in partnership with industry, communities and government. The Cluster is affiliated with the Faculty of Creative and Cultural Industries and the Faculty of Technology at the University of Portsmouth, as well as to industry partners and government agencies. The quality of our research and activities is assured through an executive advisory board whose members are representatives of government, industry and academia. 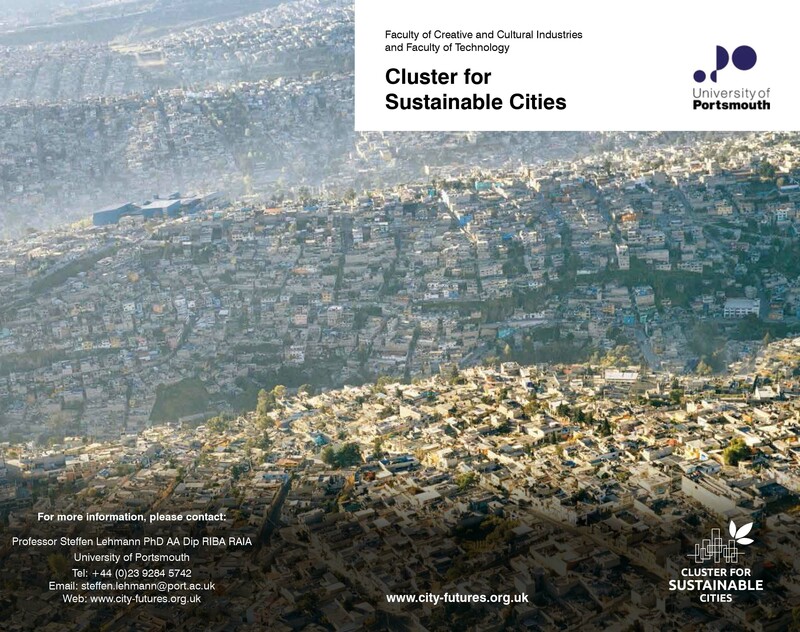 The Cluster involves over 35 researchers from a wide range of disciplines in impactful, relevant and practical projects to deliver solution for better urbanisation, systems thinking for improved efficiencies, and the evidence base for future policy formulation and better decision making.